Massive Demo clearance! Get in quick. Amazing features backed by a 5 years factory warranty and Roadside assistance. Packed with great features - price is drive away inc balance of six months rego, gov't charges and dealer charges. You will not be disappointed with this vehicle. Unbelievably priced. This car is all you have ever wanted and needed. Deal with one of Brisbane?s largest Hyundai Dealers. 35years in business looking after local customers. Trade-in?s welcome and Finance packages able to be discussed with our Business Manager at your convenience. Call to arrange a test drive today with one of our friendly staff and be impressed at how wonderful these are to drive. 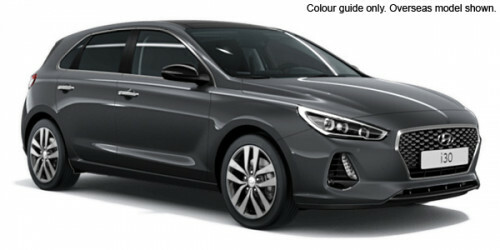 I'm interested in a Demo 2018 Hyundai i30 PD Go Hatchback (stock #914035D).